This is NOT an official announcement from, by, or associated with Bodie State Historic Park, it’s just a note to the many thousands of people who are concerned about Bodie after hearing of the many earthquakes nearby. Currently, Bodie SHP will be operating with minimal services due to the earthquake that occurred in December 2016. Please bring plenty of drinking water with you during your visit. No water will be available at the park. At this time, the public restrooms in the main parking lot will be closed. Available outhouses are located on the north side of the main parking lot and on the north side of the Wheaton and Leurs Hotel located at the intersection of Main St. and Green St. within the Bodie town site. 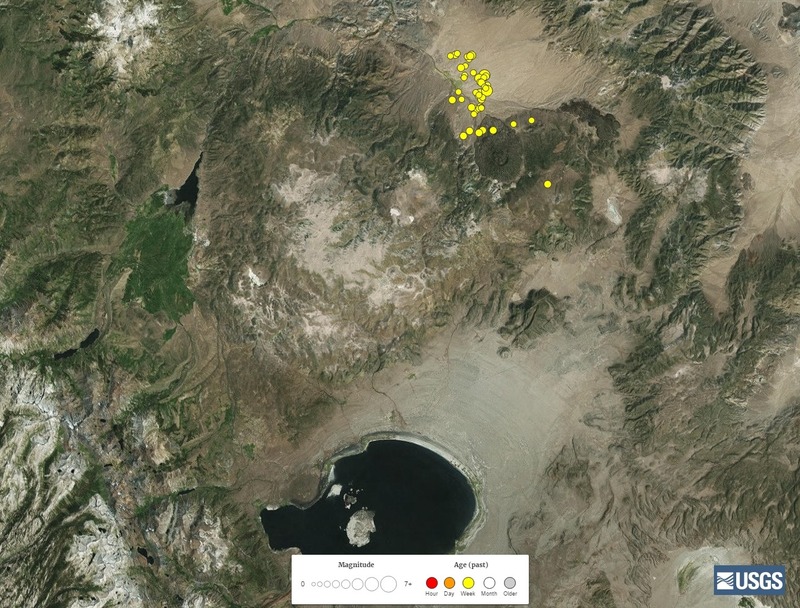 On Wednesday, December 28, 2016 several earthquakes shook Bodie, with an epicenter of Hawthorn, NV. Since then, more than 40 quakes/aftershocks have been recorded by the USGS. There’s a lot of broken historic bottles, and plenty of damage to buildings that will need care and maintenance to keep Bodie ‘frozen in time’ for generations to come. If you’d like to make a tax-deductible donation to help support restoration and preservation work in Bodie, any dollar amount is helpful. The Bodie Foundation is the official non-profit operating inside Bodie State Historic Park. Funds collected through the Foundation go directly to the Park, and do not end up in the State of California general coffers. The Bodie Foundation works directly with the Park and donations pay for State Park work crews to handle the historic and specialized work to help keep Bodie standing. Bodie is closed until California State Parks staff can assess and catalog the damages, make basic repairs and do cleanup, and to generally make sure the property is safe for visitors. If you plan on visiting Bodie in the coming weeks, be sure to call the Park and listen to the voicemail message for the latest update – (760) 647-6445. You can always find earthquake info for Bodie on Bodie.com.